Richard speaks to Jon Honeyball, CEO of IT consultancy Woodleyside, based in Cambridgeshire, and Contributing Editor to PC Pro magazine. Jon has been the contributing editor at PC Pro Magazine since 1994. He writes a monthly, real world computing column, where he discusses what’s right and what’s wrong with the latest small business technology solutions and shares his views on all aspects of computing and tech. He is also the CEO of Woodleyside IT, a privately-held consulting company based in Huntingdon, Cambridgeshire, in England. Woodleyside specialises in IT consultancy, future-proofing, strategic direction, product evaluation and hiring and firing. They help developers to appraise their projects and find ways to improve them. Jon was an avid reader of a magazine called ‘PC User’ in 1990 and would write regular letters to the editor. These were often voted ‘Letter of the Fortnight’, which led to the editor offering him a three-page column in the magazine. From there he moved to ‘Computer Buyer’, before being involved in the creation of ‘Windows Magazine’, where he was the first ever Windows NT columnist in the world. After two years, he and the editorial team decided to relaunch it as a new magazine, ‘PC Pro’. From there, they took the opinion columns and turned them into the real world columns that have been part of PC Pro ever since. Jon identified some of his friends who he thought would also be good columnists, and signed them up. Despite heavy competition, particularly from US companies launching their own publications, PC Pro is now the last magazine of the era still standing. Jon has now written more than 280 monthly columns for PC Pro. Originally trained as a classical pianist, Jon studied broadcast engineering, sound recording and music at the University of Guilford. As part of his studies, he worked with Angus McKenzie, an amateur radio expert, and helped him create a write a technical book on the subject. This led to his interest in computer control of technical instrumentation, and he then went to work for consumer association Which? first to set up their audio-video telecoms lab and then to do international computer testing. At the same time, he was dabbling with new Windows computing software. He joined the family consulting firm and launched himself as a Windows expert, installing soft fonts and connecting these to laser printers, moving from that to network consulting. He set up the Back Office User Group, which was independent of Microsoft but supported by their Reading office. They had whole-day events every six to eight weeks for people to learn more about Microsoft technology and developments. Visualisation, deconstruction analysis and reconstruction is what he’s always done, and uses that experience to deconstruct something right down to the component pieces before building up a model of what would make a perfect example and assessing whether this product is any good. His lab looks at between 400 and 500 items per year. Jon says technology such as Amazon’s Alexa is interesting but horribly underdeveloped. There needs to be more work to fix problems such as Alexa emailing personal information to people. Similarly, Jon is concerned about Facebook and Google holding so much information on us all as individuals, and how this could be leaked and misused. He says that Facebook has: “Still got so much data. It’s going to take two generations, even if we cut them off at the knees today before that data is actually flushed out”. He gives an example from his own life of an under-skin monitor to track his blood sugar to help him manage his diabetes which syncs with this iPhone. While it’s very useful, he says he’s cautious about how much information he provides to the app, because nobody wants their health records leaked. 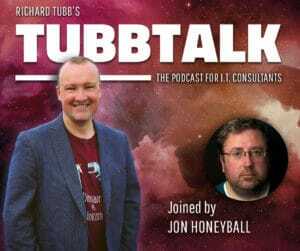 Download the transcript of "How computing has changed over the last two decades - TubbTalk #37".